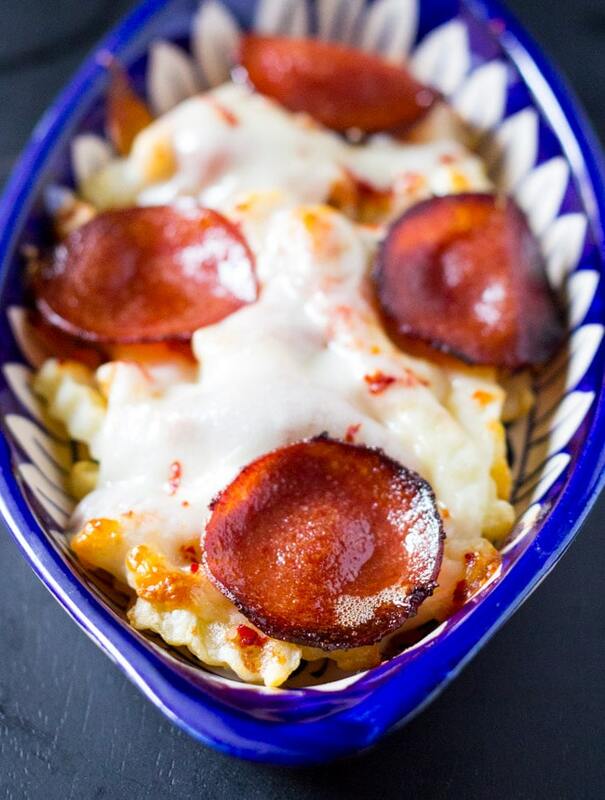 These pizza fries are loaded with pizza sauce, pepperoni and mozzarella cheese. 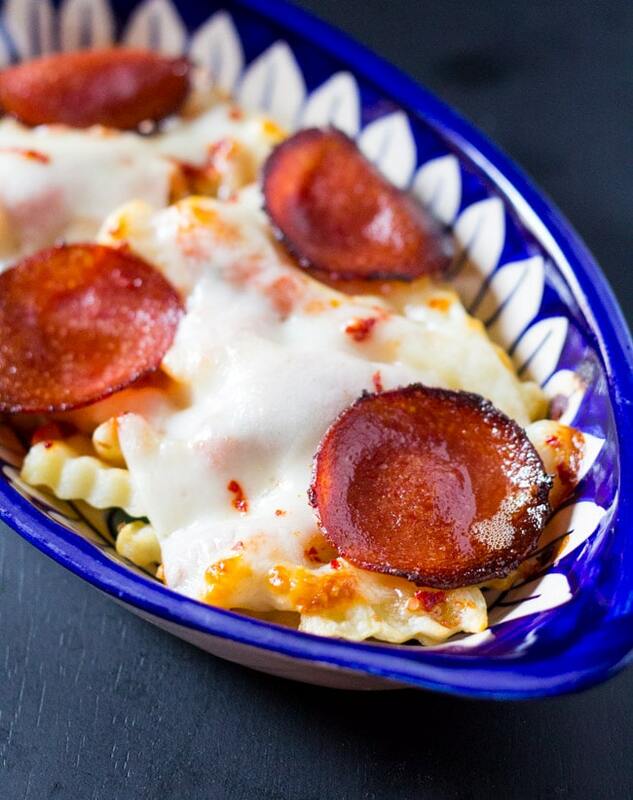 An easy and delicious recipe for all pizza AND fries lovers! Also these Pizza Fries are just so simple that I think it’s borderline dangerous. I mean such delicious food should never be this easy, but it is! 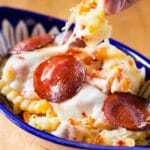 Learn how to make pizza fries and also scroll down for more topping ideas. If you love these Chicken Cheese Balls and Doritos Crusted Cheddar Cheese Sticks, you will surely love these easy peasy Pizza Fries!!! 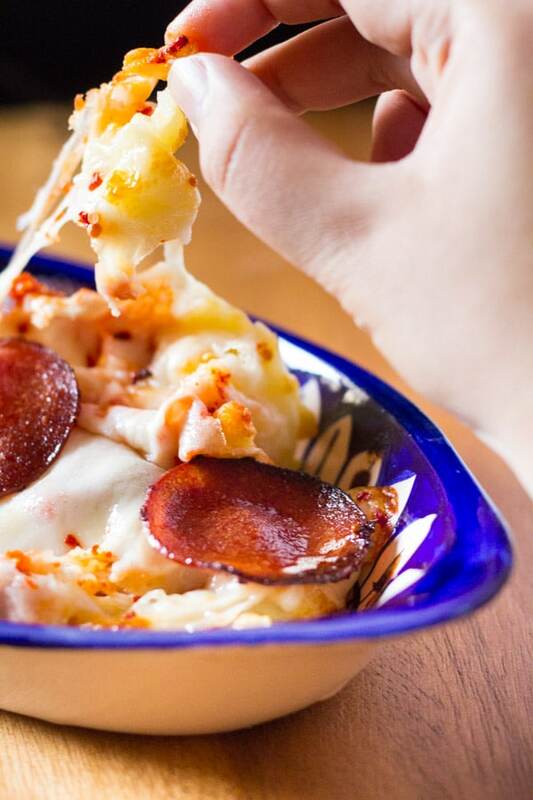 All you need is a bag of frozen fries, pizza sauce, mozzarella cheese and pepperoni slices to make these delicious Pizza Fries. See what I mean about this recipe being dangerous? Disclaimer: Make these Pizza Fries on your own risk. If you get addicted to them, you can not hold me responsible! Lolz. I actually have been wanting to make a version of loaded fries for awhile now (because the only thing better than french fries is loaded french fries lol), and the other day I was craving both french fries AND pizza! I know, I know, my food cravings are indulgent at times (okay who am I kidding? :P) but seriously this was a good idea! 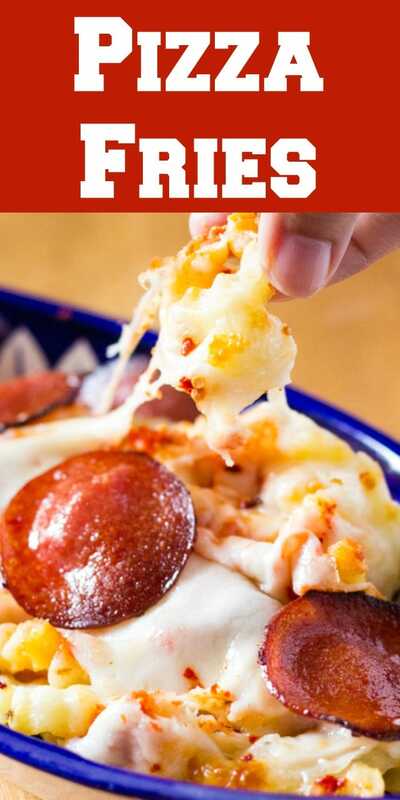 So even though these Pizza Fries are ridiculously easy to make, I’m going to walk you through the very basic steps and also give some suggestions on how you can customize these according to your taste! 1.) I used frozen french fries for convenience and the kind I used was crinkle cut fries. You can use any kind of fries you like, or even make homemade fries! I just prepared the fries according to the package instructions. 2.) After the frozen fries were prepared, I topped them with pizza sauce, then added shredded mozzarella cheese and finally pepperoni slices. I put the pizza fries back into the oven, and baked for about 5 minutes or so until the cheese had melted and was golden brown. 3.) These pizza fries are best served fresh and are perfect for large gatherings, parties, and even game day! 4.) I used a smaller dish to display the pizza fries in the pictures you see here (don’t you just love that ooey gooey cheese?) but I would suggest that you bake these on a large baking sheet so that the french fries are spread evenly in one layer. 6.) Oh and I’d also like to add that since this is such a customizable recipe, you can alter the quantity of ingredients I’ve listed in the recipe card below according to your own preferences and taste. These pizza fries are so delicious, I can bet you won’t be able to stop until you finish them all! 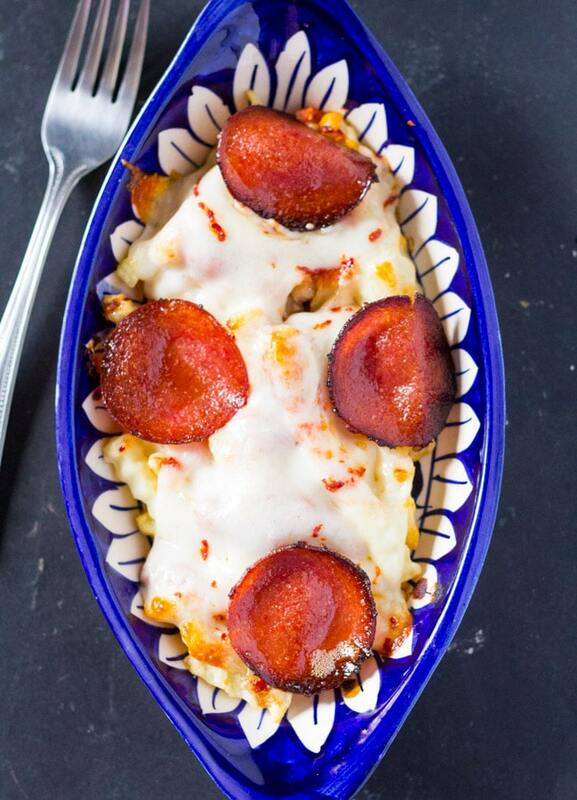 These pizza fries are loaded with pizza sauce, pepperoni and mozzarella cheese. An easy and delicious recipe for all pizza lovers! Prepare the frozen fries according to the package instructions. Spread the pizza sauce over the fries, then top with mozzarella cheese and pepperoni slices. Bake for 5 minutes or until the cheese is melted and is golden brown (you can turn on the grill if you want a more golden brown color of the cheese).